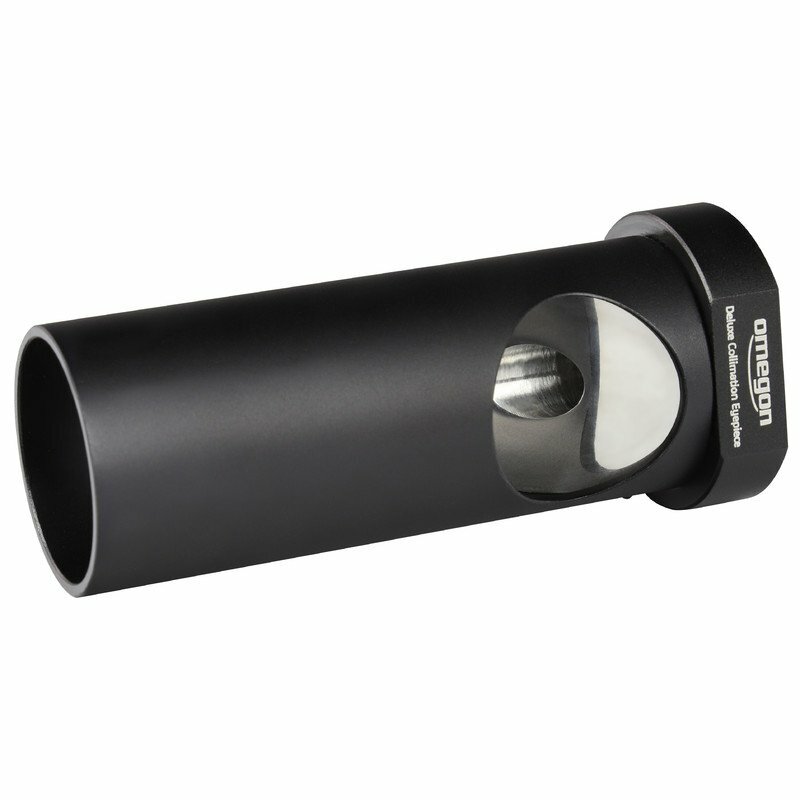 The new Omegon collimation eyepiece allows you to reliably collimate virtually any Newtonian telescope - even 'fast' systems up to f/3. 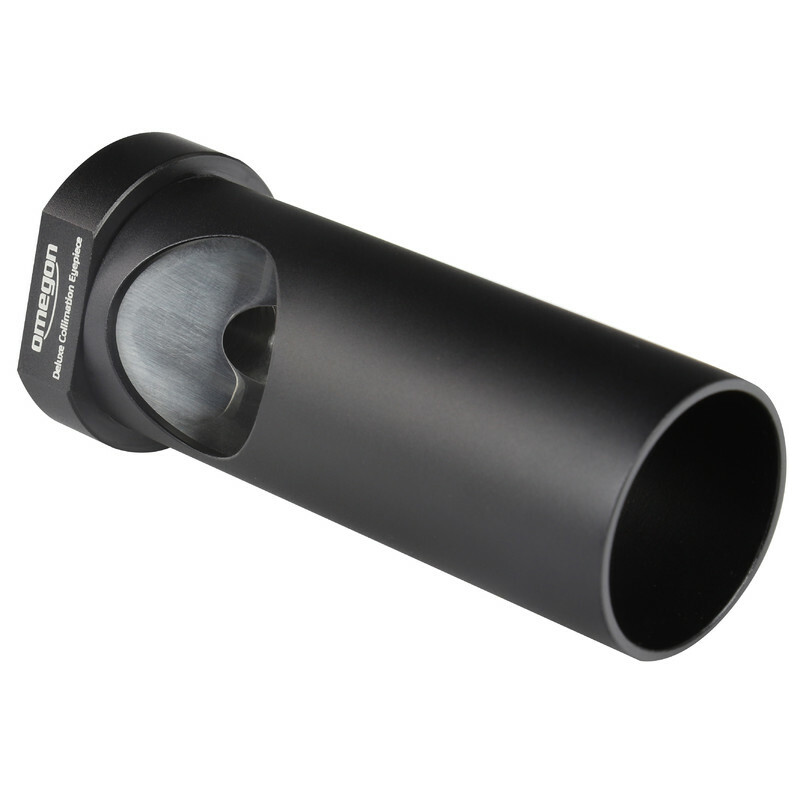 It is also more accurate than many other methods. 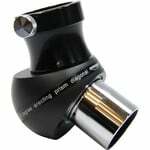 But the best thing of all is that you can now collimate without any tricky problems arising - thanks to simple step-by-step instructions. You can now look forward to perfect collimation. 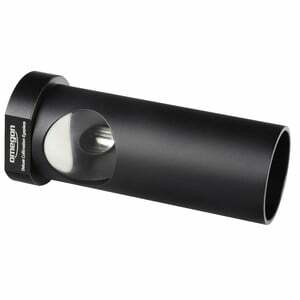 Why can I collimate my Newtonian telescope so accurately with this accessory? The design of the Cheshire eyepiece offers you several advantages - optimized length and collimation of the main and secondary mirrors at the same time. 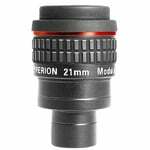 Is that a problem with other collimation eyepieces? Yes, because only the optimized short design here lets you easily assess the image in both mirrors. A longer tube would cause some vignetting of the image, and also the image would not be symmetrically illuminated when in focus. 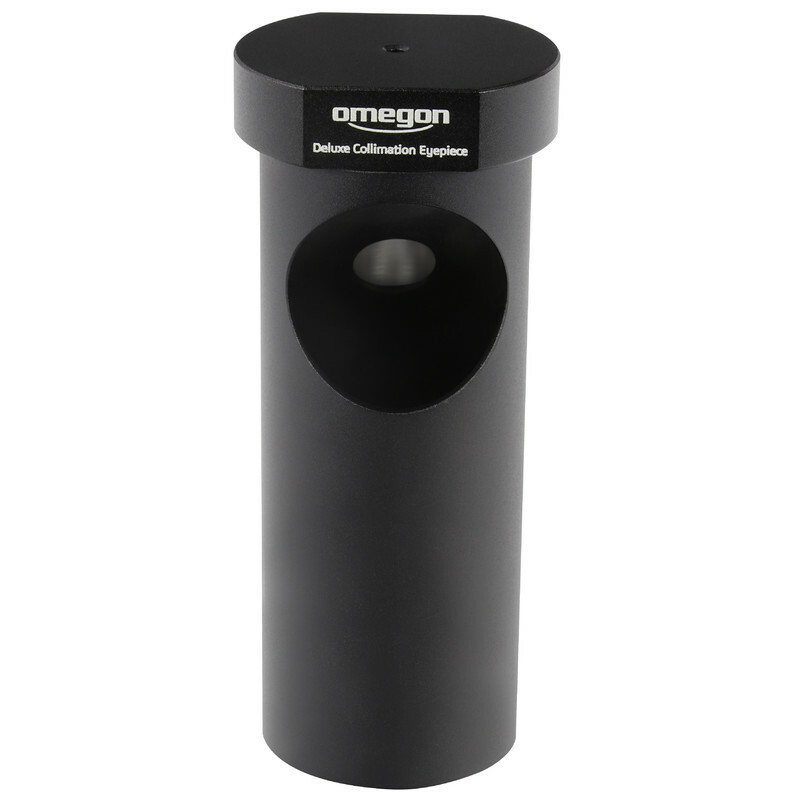 The Omegon Deluxe Collimation Eyepiece is different - you can look forward to a perfect result when you have finished collimating your optics. 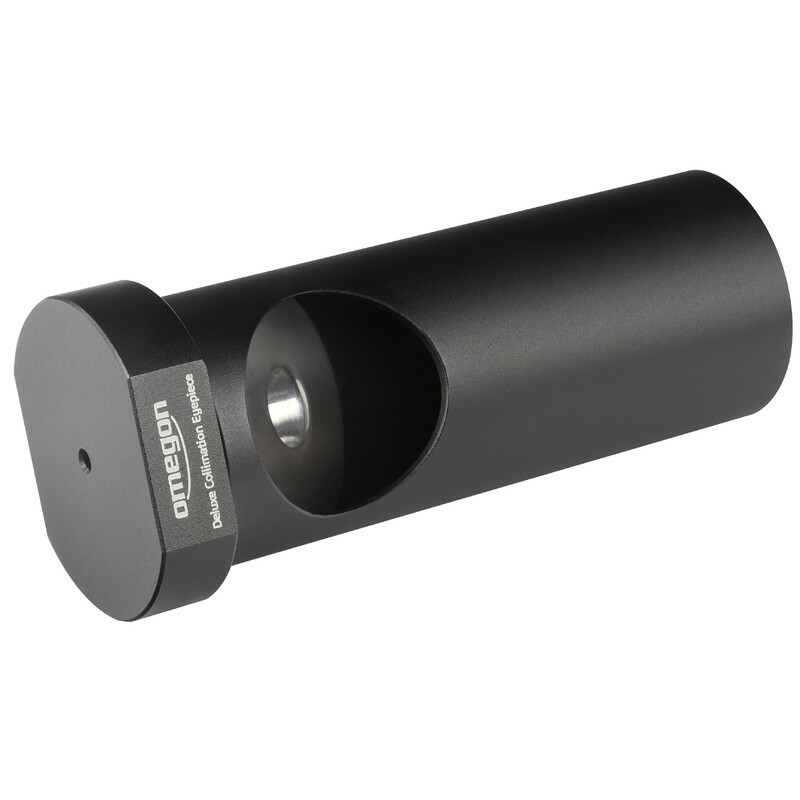 The advantage is that you do not need to worry about it being centred as, in contrast to a laser collimator, a collimation eyepiece can never go out of adjustment. 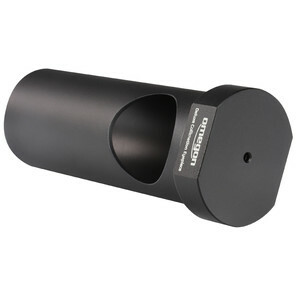 Just slide it into your telescope's 1.25" focuser and get started. 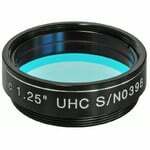 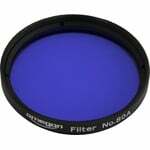 You can easily find your telescope's focal plane and will be able to see everything really well. You can also now collimate the secondary mirror accurately. 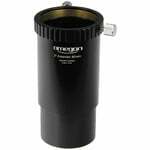 Connection (to the telescope) 1.25"